I often get asked by administrators for some recommended reading. 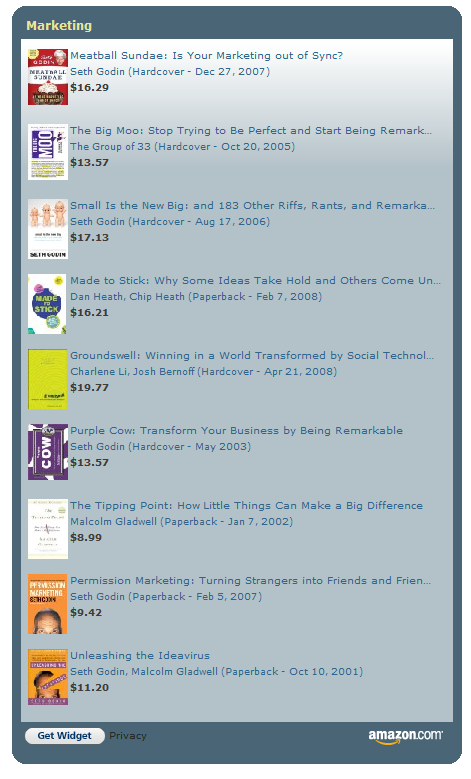 Here are some of my favorite books on marketing. If the Amazon widget doesn't load in a few seconds, here's a static picture of the list.